My dad’s mother gave my mom a small suite of jewellery after my parents got married. It was A Bond Boyd sterling demi-parure made up of a pair of earrings and a brooch fashioned like pitcher plants — the provincial flower of Newfoundland. My mom gave them to me after my grandmother died and I wore them constantly. In fact I even wore them when I slept, which is never a good idea because one must’ve gotten snagged in the bedding, pulled out of my ear and lost in the mess that was my room. 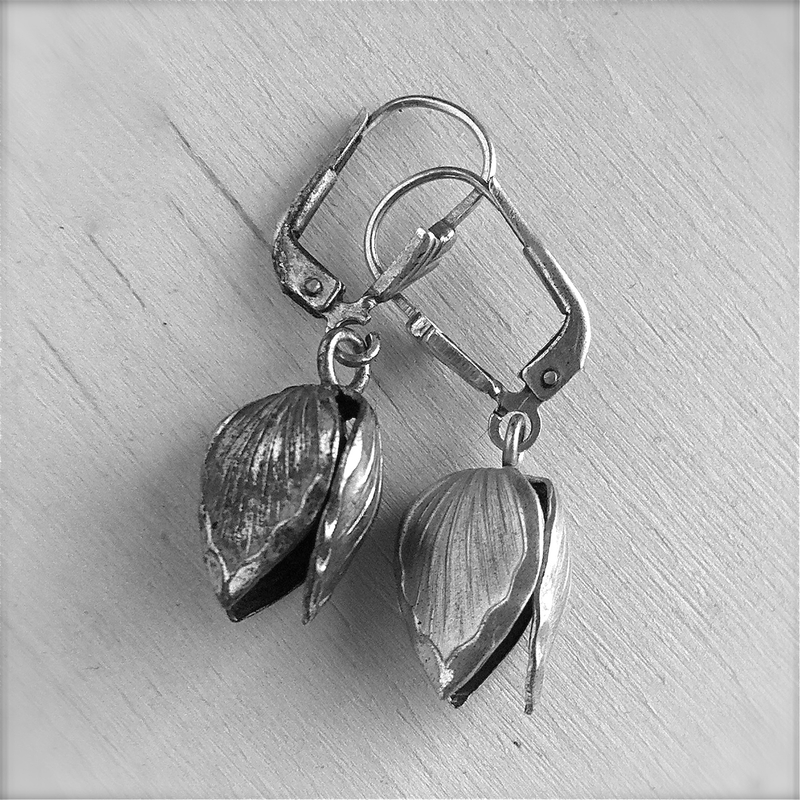 I never did find it, so I had a friend recast a new bloom from the remaining earring. I also got paranoid that I would lose them again, so I stopped wearing them so much. But I took them out for an airing last weekend and I think that I may be in love with them all over again.